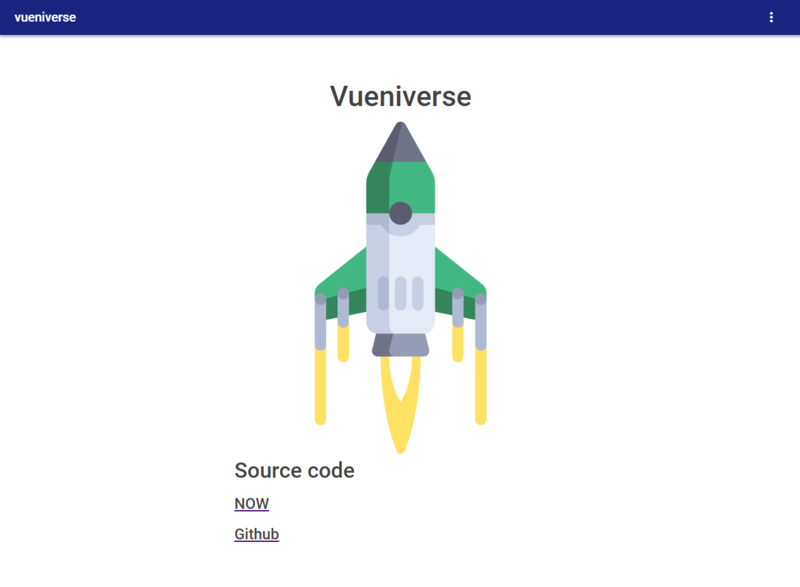 Vueniverse is a ready to go template, full stack, user based, with lots of features. It can be used trought the vue-cli to start your next Progressive Web App since right now it has 100/100 lighthouse score. PWA by default, 100/100 lighthouse PWA score. A REST API, and full user authentication with JWT, Redis blacklisting, and MongoDB. Client Side routing, Server Side Rendering and Global State Management thanks to Vue.js and Nuxt.js! Universal HMR for a clean development process, thanks to Nuxtjs and BackPack. The project is deployed and you can check out its files, like package.json and the general structure of the template, all available here. You will have to make a database elsewhere Atlas free teir is recommended. When you do, paste the URL to the DB_URL and a random SECRET variable to the secrets.json file. If you encounter any problems or have any suggestions, visit the code repository of this project, by clicking here.